Great photos Slim. Looks like another generation of salt addicts has been created!! Hoping your recovery is FAST !! Pun intended. I don't mean to steal your thread Slim, but after all the dust settles down over the Speeddemon rollover and George walking away basically in good shape, i think a lot of kudos should go to Rich Manchen who i do believe, built that frame a few years ago. Rich is a great fabricator and welder and has done some welding for myself. For George to walk away from that car tells a lot about the safety aspect that Rich put in to building that chassis. Good job Rich. Just my two cents. Mark. Speed Demon: https://www.facebook.com/CookLSS scroll down to the pictures on Sept 12. What do you think? 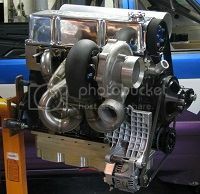 Hey bigd1, if you face book go to Mike Cooks Shoot out and check out the pictures of the Speeddemon. Here is a link but i don't know if it will open. Don't think that car will be back for quite some time. You beat me to it Mike. I'm s till waiting for George to be brought out to the tower by someone. I was tied down to the equipment and couldn't get down to the pits. Ditto I'm still waiting for the helper that was going to be doing a bunch of interviews on his recorder and deliver them to me so I could play them. And then, when he said he had to leave early, he asked for my email addy so he could send them to me for playing later. I should have them by Sunday noon, I was told. Or maybe it was Sunday evening. It's Monday evening and the event is over and I still don't have them. But then -- the streaming audio worked better than I expected it would, and next time I try it I'll have more things all figured out and ready to run -- so I can devote more effort to getting those interviews and chasing down George and having the streaming run continuously without dropping out. I called tech support today for the third day in a row. this time I got a small apology and was told they wouldn't charge me for today and tomorrow. Great -- the event is over today and they won't charge for tomorrow. And today I couldn't get it working. No matter -- it worked pretty danged well for the chewing gum and baling wire effort. Thanks for sticking around for what I could send down the wire (so to speak). I am so starved for salt, if you were transmitting over scratchy AM radio waves like the X out of Mexico I would hold my ear to the speaker to hear every morsel of sound. I enjoy your comments, the background radio chatter, Glen... especially Glen telling people to "take it to impound" mixed with a little header noise. Way down hear in South Florida we have salt in the air but none on the ground. Thanks for helping me feed the need. Thanks to ZZ Mark's encouragement there is a little something in the Paypal inbox at LR.com. Sometimes you need someone suggestion to do the right thing. Thanks BR for stepping up ,,,,,,,,,,,,and thanks Jon for all your hard work. Have a safe trip home. Mark. Our pal Jon Wennerberg a/k/a Seldom Seen Slim has been hard at work providing a live streaming audio report from the Shootout. 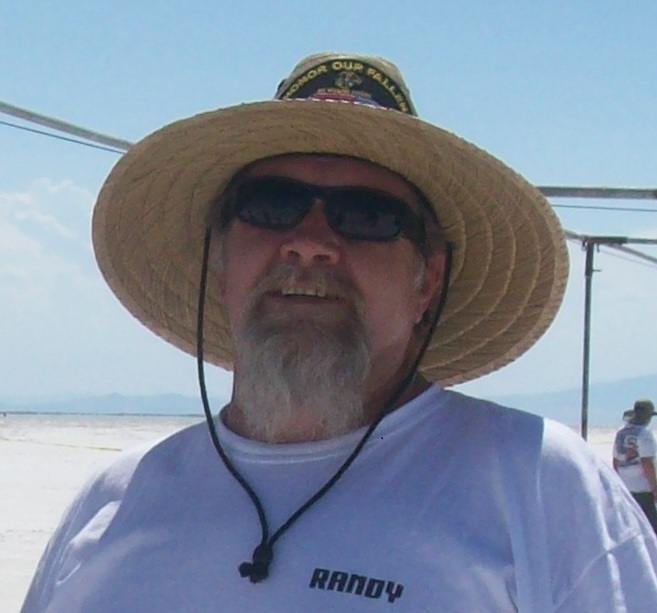 Mike Cook's Bonneville Shootout would like to acknowledge and thank Slim for the effort he put in under difficult circumstances. Slim reported from his car for the entire event. A lot of racers and enthusiasts enjoyed the feed from landracing.com and we would be very happy to have Slim do it again next year. Thanks Slim. Plus there is a photo of Jon at work in his car.